The content on this site may contain affiliate links. Which means I may be compensated (at no cost to you). Please see our full disclosure policy for details. Thank you for your support! I love a good deal. I’m from Winnipeg, a place where you don’t brag about what you bought. You brag about the deal you made. The actual product you get is a distant second to deal that you got from asking for a better price. Some people love the thrill of the sale. Chasing down a good money saving deal. Don’t get me wrong I love a good deal. I love to save money on my purchases. It’s the asking for a better price that’s always given me problems. It’s the hassle of going through all the motions of the deal. The asking for a better price, then the waiting, and the holding out and asking again (and again and again). Getting a better deal often feels like a hassle. Something I don’t have time for most days. You get it right? You get busy and the last thing you need/want to do is waste your time finding out if you can get a better deal. The asking for a better price is more about rejection. It’s being flat out told: “No”. Then that awkwardness of standing there and feeling like I have failed in some strange way. I realized now that I needed to get around it. So like anything I do, I started out awful and started to work on being better at it. Flash forward a few months and it’s a lot easier the more you do it. From Satellite radio, to car discounts, and even on my groceries. I’ve come a long way in asking for a better price this past year. It has saved me hundreds and more likely thousands! If you think about it, if you ask for a discount or a lower price and are get told “No”, what has happened? You are in the exact same spot as you were before. Except now you know you have the best price. Or at least best price you feel you could get. Plus the clerk you are asking doesn’t care. They go through this 20 times a day. They have forgotten about it the minute you walk out. It’s what you tell yourself after you ask and don’t get a discount that’s far more important. Any of these sound familiar? These are all made up things we tell ourselves. They aren’t true, but they do hold you back. I ask – I still have a lot of mental talk trying to prevent me from doing this it gets easier every time. If I get some type of discount I celebrate, if not I tell myself: “Nothing gained nothing lost” and I move on. No negative self talk. It’s over. Move on. This has been a hard lesson to learn, one that I’m trying to teach my kids. You don’t get anything in this life unless you ask for it. People can’t give you what you want, unless they know what you want. You need to ask for what you want. My dad is a great ask-er (not too sure if that’s a word). Anywhere we go he will ask for a deal. I used to find it embarrassing. Now I get it. It’s his money and he wants to keep as much of it as possible. He’s knows that every dollar you don’t spend, is an extra dollar you can use for something else. That’s a big life lesson right there! The more I ask for discounts, the more I see it as one big game. You might not know you are playing a game, but you are. Most people don’t know it’s a game, I didn’t. The name of the game is: “The more you save, the more you win”. Most people don’t know they are playing, or that they are allowed to play. You are in this game, start asking, get your wins! The only thing holding you back is yourself. The doubt. The uncertainty. It all sinks in the pit of your stomach and holds you back. Ask, don’t think about it. Ask. The more you do it the easier it will get. The next time you are buying something, when it’s appropriate get in the habit of asking for a better price. What’s the best price I can get on this? Can the manager give me a better price? Can I get it for (insert your price here)? That’s it! Get in the habit of asking. The more you do the easier it gets. There are a ton of other tactics you can use. But for now get use to asking for a better price. The rest will come later on. Make a point of asking once a day for a discount. Sure you will feel foolish, but you might save, and you will save. If you aren’t into asking for a better price, I get it. But you should still save some money where you can. Tiller - We use to track our spending, it puts everything into a spreadsheet for us. You can check out our Tiller Review or Get it for free here. Ibotta - Get cash back on your day to day spending. Plus get a sign up bonus of $10. It's so simple you'll wish you had started sooner. Get it for free here. Checkout 51 - We scan our receipts and get cash back on our grocery shopping. It's free and saves us money! Get it here absolutely free!. Wealthsimple - Wanting invest easily and effortlessly? We use Wealthsimple, they create a portfolio and you can start with little money. 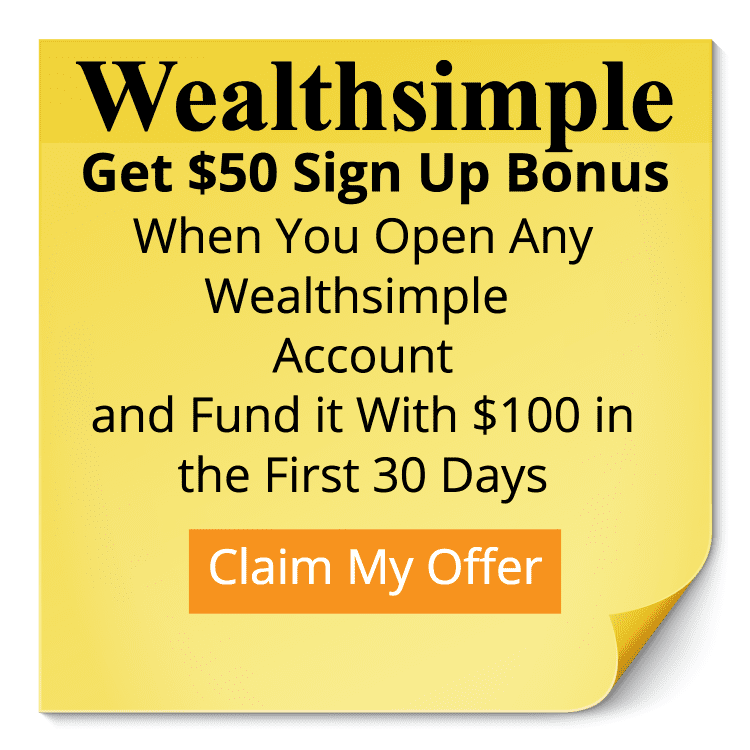 Read our Wealthsimple Review or click here to get a $50 bonus with this link, when you invest your first $100 with them. Ebates - Love to shop online? So do we. That's why we use Ebates, we get cash back on our online purchases (including Amazon). Sign up for Free here and get a $5 sign up bonus. Drop - Have you tried Drop? You get points for your spending on everyday items. Just sign up and link your card. It’s free and easy! Check out our Drop Review or Give it a try here. We’ve learned to ask at all department stores for coupons. Even if you don’t have a coupon, the odds are the cashier has some behind the counter for the person who “forgot theirs at home” and still wants the deal. The cashier making $10 an hour doesn’t care and you’ll save at least some money. We normally have coupons if we’re planning on buying something but sometimes you just NEED something, like when your belt breaks and you have an interview the next day. You can save a ton of money of bigger purchases by asking. I think you need to have done extensive research on bigger purchases so you should already have identified what a “good” price is to assist in your ask. I’m going to start doing that right away. I love the asking for coupons at the register. You’re absolutely right the clerk doesn’t care one way or another. I’m sure a smile and asking nicely would go a long way. 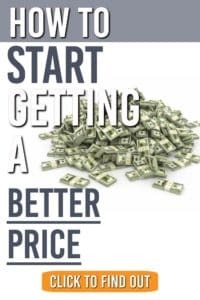 Research is a big one on any larger purchase.If you know what the “best price” is then you come into the conversation ready to be a better asker. Good job and Thanks for the tip! We’re dedicated to helping busy parents, who are stressed out about money, find their way out of the mess, by providing them easy action steps so that they can create a life they love. Check out the Money Kickstart Challenge to get started down the road to better finances. I am not a financial advisor, banker, money manager or anything else of that sort. Please seek a professional for any real advice. This site to be for entertainment purposes only. We may receive a referral fee if you sign up through the referral links on this site.